So I made this quick iPhone app for myself a while ago. It got popular so now I have started making it more accessible to other platforms. 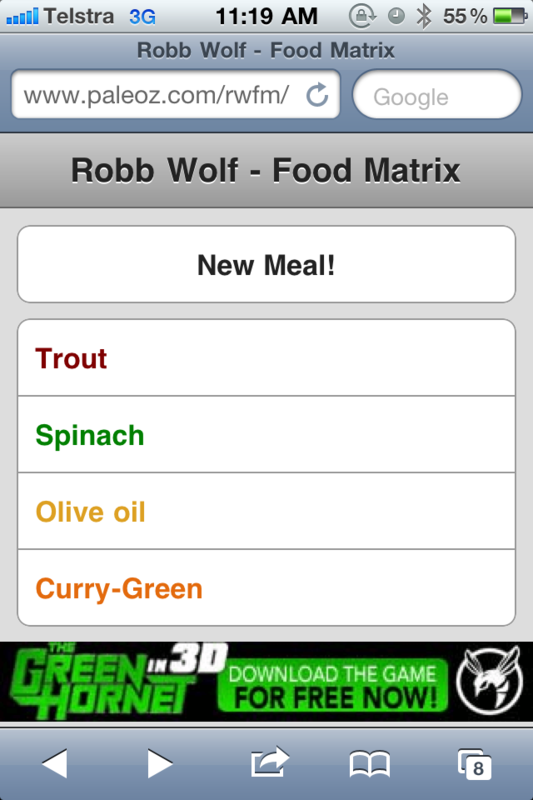 All it does is take Robb Wolfs Food Matrix and generates a random meal, taking one item out of each column. I currently have it working for PC/iPhone and Android! This version should work on most PC’s with modern browsers. If you have any issues please leave a comment. 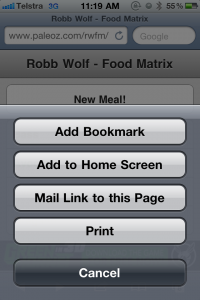 Drag the link to your bookmark bar for quick meals! If you find any bugs or have suggestions on how I could make it better please just leave a comment! I’m new to paleo. But I love it already. Feel so good having cut out grains and dairy and all the processed, refined crap. 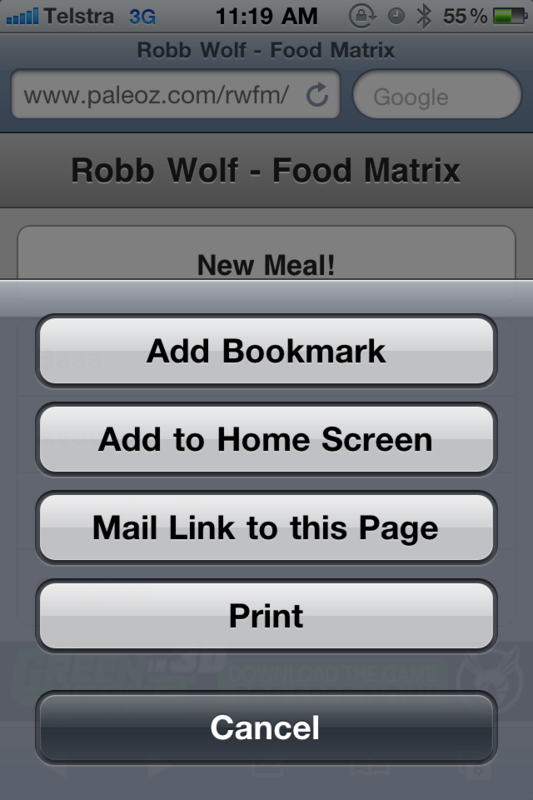 I have an idea for your meal generator app. 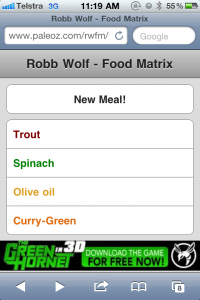 Is there a way of deleting certain things from Robb’s matrix? I’m all for trying new things, but there still might be things you dont like. Any way you can make this an app for Android phones? I love it! Works very well and is a valuable resource! Awesome, I’ll get a lot of use out of this — thanks! yes bring it to Android !!! To all those people who want an Android version please see new post on blog! If you are willing to test, please comment. DUDE this is awesome! A very cool idea would be the ability to add or remove food items from each respective food category, that way people could put in the foods they have available and it would spit out a combo! They could also customize it to their tastes a bit. Awesome job on the app, simple, sleek, uncluttered, and does exactly what it’s meant to do, like an app should!